Gloria Feldt President, Planned Parenthood The Abortion Resource Handbook is a unique and valuable aid for woman who are faced with the need to exercise their constitutional right to terminate a pregnancy. It provides meaningful and comprehensive medical and psychological information clearly and concisely. Perhaps more importantly, it offers humane guidance for any woman who is forced to navigate the political, social, and extremist obstacles that have been put in place to thwart her fundamental, moral right to choose. 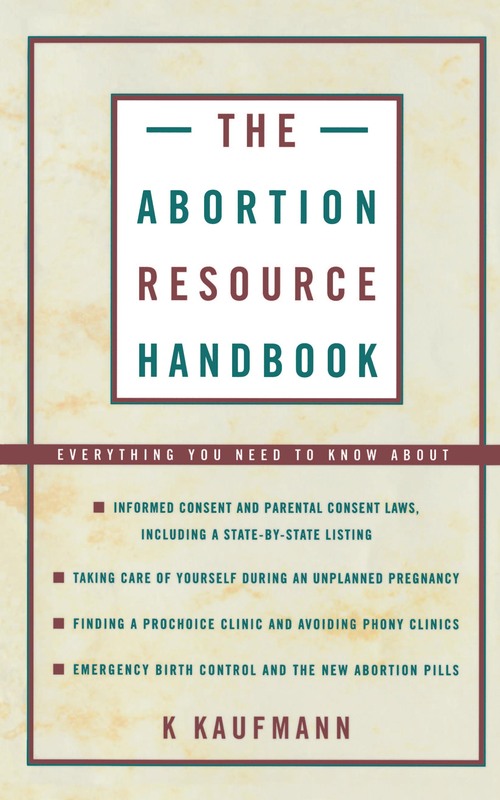 This important resource also provides invaluable insights for women and men who want to understand the issue of abortion at its most human, practical, and compelling level. It may be the most important single book yet written for women who choose abortion, their parents, friends, and counselors.